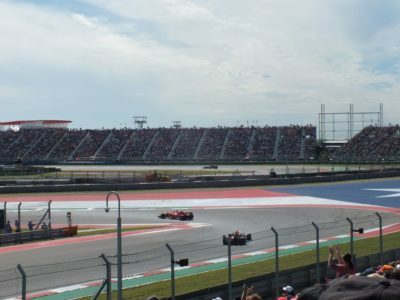 Car 7 Kimi Räikkönen Ferrari won the 2018 United States Grand Prix for his 21st win. 2nd Place Car 33 Max Verstappen Red Bull Racing TAG HEUER. 3rd Place Car 44 Lewis Hamilton Mercedes. 4th Place Car 5 Sebastian Vettel Ferrari followed by 5th place Car 77 Valtteri Bottas Mercedes. 6th Place Car 27 Nico Hulkenberg Renault followed by 7th place Car 55 Carlos Sainz Renault. 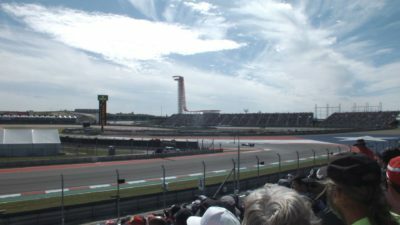 8th Place Car 11 Sergio Perez Force India Mercedes followed by 9th Place Car 28 Brendon Hartley Scuderia Toro Rosso Honda. Lastly in the Top 10 was Car 9 Marcus Ericsson Sauber Ferrari, in 10th place. Canadian Car 18 Lance Stroll Williams Mercedes finished in 14th place. 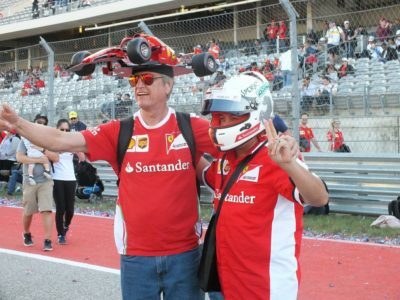 Q: Kimi Räikkönen, congratulations, you’ve made a lot of Formula 1 fans around the world very, very happy today, maybe not quite as happy as you are. Kimi Räikkönen: Who knows, maybe they are happier even. No, honestly, it’s been a good weekend. I think the car has been pretty good all the time. I got a good start. I needed to push hard. It was tight a few times and in the end the tyres were not in the best shape but I think it was a bit similar for Max, obviously Lewis had more tyres left for the end. I had enough speed; we kept it consistent and just tried to keep the tyres alive until the end, so a long time, you know, but here we are. Q: Your first victory since Australia 2013. It’s been a long time coming. You must be more pumped up than that? Kimi Räikkönen: Obviously I’m much happier than finishing second. I’m happy but let’s see… later on. But great job. Q: Three critical points: the start, then when you were running a very wide car… the second one actually was when you were pretending you coming into the pit lane and Lewis had to come in instead; he was going to do the opposite to you, and then obviously holding him up for about eight seconds. Everything put together, that’s what made you the victory. Kimi Räikkönen: I think it was obviously coming in at the right time and having enough tyres both times. It was a bit of a balancing act but we did it pretty well, well enough to win it, so it was OK, and a good battle and I think that’s what we all want as drivers and also the people here. Q: OK, well done again. Max, P18 to P2 – great drive. Max Verstappen: Yeah, a bit unexpected but a good start, a good first lap, and then very quickly we were back into P5, P4 and we could just follow the leaders and we had really good pace. We made the right call to undercut Valtteri and from there onwards we could do our own race. I think in the end we could put a bit of pressure on, but unfortunately in the last three or four laps I ran out of tyres on the supersoft compared to the guys on the soft around me. But yeah, still very happy. I destroyed my shoe; I think I was pushing a bit hard, but it felt good. Q: Take us through that battle with Lewis right near the end of the race, through 14, 15, 16 and 17 and Turn 18? Max Verstappen: So at that time I was really struggling with the rear tyres. I locked up through Turn 12 and then there was a good fight through the Esses, through the hairpin and in the right-hand corner I was just pushing as much as I could but hanging on but clearly also Lewis was already on the edge, so happy to stay in second. Q: Congratulations. Lewis, the championship goes on for another week, but you had some adventures during that grand prix. How do you feel about the race? Lewis Hamilton: Well, first of all a bog congratulations to Kimi, he did a great job today. No mistakes, he had a great start and managed it all the way. Also Verstappen did a great job as well. He was on a slightly better tyre than us at the end so naturally a bit of a struggle. I naturally thought we would have been able to do better but this is the best we were able to do in the end. But it was great that we actually got to do some racing at least but yeah, we just have to keep working, keep pushing for the next race. Q: That pivotal moment where you were told to do the opposite to Kimi and you came in on lap 11. It gave you a long way to go didn’t it? You did a cheap pit stop under the Virtual Safety Car, but you just ran out of tyres. 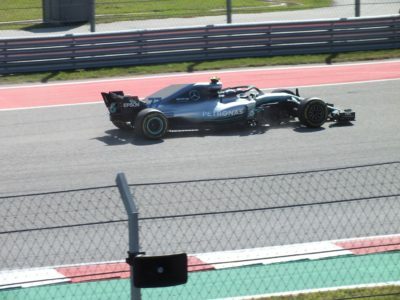 Lewis Hamilton: Yeah, I think ultimately I came out and the pit window was very, very close, but then after I did my stop it was 12 seconds and it was way, way too far to catch up. I’m not really quite sure how the strategy ended up like that. It’s always difficult. You only have a certain amount of life with the brand new tyre to make a difference and once you put 12 seconds up there’s none left. But anyway, I’m really happy. We still got a top three. It’s still close; Ferrari picked up their game this weekend, so we’ve go to push hard for the next race. Q: (Luis Vasconcelos – Formula Press) Two questions for Kimi. How difficult was that balancing you were talking to Martin about, of pushing very hard at the start of your second stint to catch Lewis and to have enough of a gap to be in front and saving those tyres until the end of the race for the last 10 laps with the two guys behind? Kimi Räikkönen: Yeah, I think it was already during the first stint, maybe one lap, two laps, and then you try to take of tyres, fuel, things like that, but it’s more guessing, obviously you kind of go by feeling. At a certain point the tyres are going to fall off and there is not a lot you can do. We had a pretty good battle. I tried to stay as far as I could. I could hold him back. And then once we did the pit stops obviously I just needed to keep the gap. I caught up a little bit and then keep the gap and aiming for certain lap times and looking after the tyres, because it will be an issue in the end. So you never know how it’s going to play out, especially after a Friday like we had. I was pretty confident after the first stint that it will be OK, but like we saw it got pretty close and 10 laps I was a bit probably not the most happiest guy in the world. But the closer we got to the end, the closer they got to me, it’s more dfificult for them and then it was OK.
Q: (Luis Vasconcelos – Formula Press) And the second question is what’s more satisfying: getting the win and, as you said, shutting your critics out; or knowing for now that for a long time none of us is going to ask you when is the next time you are going to win a race? Kimi Räikkönen: (Laughs) it might be next weekend already! I don’t know. I’m happy with how it went. I’m happy for the team. Obviously we had a pretty rough two races and I’m proving people certain things. I might be getting older but it’s not too bad still. Maybe I’m OK to be [here] a few years more. I enjoy it, so we are here to try to win. I always try to do it, but obviously it’s not easy, otherwise anybody could do it. So, I think this weekend we have been pretty solid in many ways. I just had a good feeling with the car. We’ll see what happens in the next race, but so far it’s been OK. I don’t complain a lot. We’ll have for sure some fun tonight and we go next week to the next one. Q: (Phil Duncan – PA) Lewis, do you think you had the speed to win today, had you been on the same strategy as the other guys? Lewis Hamilton: I think it would have been… Kimi, one he was ahead, I didn’t have the greatest pace to really challenge him. Obviously, I was relatively close, I think, after the… in that first stint, second half. We were kind of exchanging lap times and kept beating each other’s times. 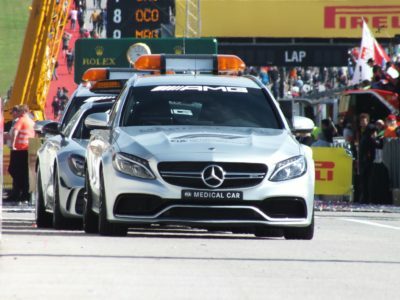 And he was on the better tyre but he eked it out for quite some time with that safety car. Pace-wise, I think we were very, very close – but the whole deficit, they kept putting me so far behind, I could have told you exactly what was going to happen once we had those big gaps that we had to catch. With the tyres, it’s a very, very aggressive circuit on tyres and yeah, I think it we would have pitted at the same time, or around the same time, we would probably have come out behind him and we would have been racing right to the end on the same set of tyres. So, ultimately… yeah, it’s all if, but and whens. He did a great job at the end of the day. Q: (Joey Barnes – Motorsports Tribune) Kimi, your last win, five years ago, you weren’t quite known as the family man. So, now that have this one, how special is this, that you get to share it with your family? Kimi Räikkönen: They’ve been asking for a while, so more interested in the Pirelli cap than probably the win itself. I know that we can buy it also but I know it’s not fair play to bring them if I had to buy it. So yeah. I have a lovely wife and kids and I’m sure they’re happy. I’m not sure if the kids… they probably fall asleep during the race but the wife probably looked at it. I’m more than happy for all of us. It’s nice. Yeah… I don’t know. It’s nice to win again – but like I said, it doesn’t change my life or they don’t look at me differently. My son asked the previous race that he wants a new Pirelli – the same tyre from the qualifying – because he wants to play with it. Again, I’m sure they’re happy and I’m happy to help them, more than happy. We’ll have a nice talk when we get home. 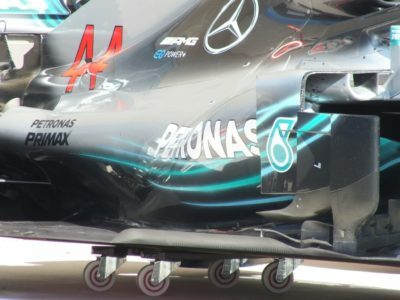 Q: (Christian Menath – Motorsport-magazin.com) Question for Lewis, you said you knew what’s going to happen with these tyres when you have to catch up this much. Do you mean the Pirelli tyres or the soft tyres in particular? Because we saw that it was blistering quite a lot when you pushed at the beginning. Lewis Hamilton: I was meaning the tyres in general but the soft tyre was not a great tyre for us today. I was actually a little bit surprised at the end that we were put back on a soft tyre, knowing that Max was on a supersoft. I knew that… when you compete with someone that has a slight advantage then you know that you’re at a deficit but I was hoping I would close the gap in time but again, as I said, the tyre wouldn’t last as long as it is to catch a 12 seconds gap, was a lot to ask for. Q: (Jaap de Groot – De Telegraaf) Question for Max. At the end, when Lewis tried to overtake you, it was a sensational part of the race. Could you describe in detail how you underwent that action. Max Verstappen: So, following Kimi that closely, of course it’s not great for my tyres, so I was struggling a bit more with the tyres. So then Lewis came close and yeah, we had a few corners where I had to close the door a little bit. Then he tried around the outside – but I was on the edge already in the fast corners so I was just sliding a lot. Then I saw also that Lewis ran out of room and then, of course, if you go a bit wide you get a lot of marbles on the tyres so it takes like a lap before they have grip again. Max Verstappen: I think you could have squeezed a bit more! Yeah! Lewis Hamilton: I couldn’t see you! Max Verstappen: It was alright – I was just really struggling with the tyres the last two or three laps but, yeah, made it a bit more fun! Q: (Les Kiser – Speed City Broadcasting) Lewis and Max, we saw your tyres going away. Lewis, we saw you go wide, as you just mentioned, on the last lap. If the race was one lap longer, Lewis, what in your opinion would have been the result of that lap and Max, the same? Lewis Hamilton: I think I was too… I was catching towards the end but we probably needed another few laps to be honest. That wide moment meant that I picked up a lot of dirt on my tyres and it took at least a lap to get rid of it, to get rid of that top surface so you lose a lot of temperature and everything so I don’t think any extra would have really made much of a difference but a few more laps, if we were able to extend it, these guys were on older tyres so it would have been interesting in that respect but ultimately we ran out of time. 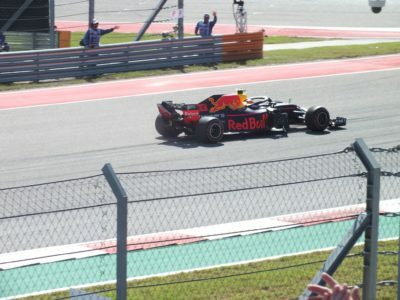 Max Verstappen: Yeah, if the race would be a few laps longer or a lap longer, I think at one point you have to start to do a two stop but we planned the strategy around the amount of laps we had. Q: (John Haverlin – ESPN Albuquerque) Lewis, as you were battling Max towards the end there, were you thinking about – heat of the moment, OK, I’m racing for position or were you thinking about how the championship could be clinched if you were able to get around him? Lewis Hamilton: Honestly I was trying to win the race but you look at the two guys next to me, they’re not fighting for a championship so I had to be very very careful how I navigated around them. Championships are not won by fighting and making silly mistakes so that’s really… I was trying to… as I said, I went through that corner, I gave him way too much space just to be sure that I didn’t get clipped, for example, didn’t get taken out because I didn’t know if you would understeer into me or could be aggressive. I didn’t know. If that was me and Seb, for example, I would have been a lot more tighter and more aggressive if we were fighting for the championship, for example, but there was no need. The key was that I at least finished ahead of Seb and for me it doesn’t matter when you win the championship as long as you get it done. Ultimately we wanted to win the race today and I think going backwards two steps is not a good result but as I said, you can’t win them all, you can’t always get them perfect. Q: Just on the wheel-to-wheel racing, Max does it come into your thinking when you’re racing Lewis that he’s got a title on the line at the moment? Max Verstappen: I think at the end of the day you always try to be sensible, yeah. Q: And similarly Kimi, with you, when you were defending from Lewis, I think you said on team radio about not doing anything silly. Kimi Räikkönen: Yeah, for sure my purpose is not to be any more aggressive against him than anybody else. I don’t believe in doing crazy things. I want to do my race and do the best that I can do. If that impacts the championship then that’s how it is but I will not do any crazy stuff to be a part of it. My job is purely to try to do win, I’m here for that and I will play as fair as is possible and that’s how it’s going to be and how it’s always going to be. We know what is fair and what is not and I got a bit close once because I lost a bit of grip but there was nothing crazy going on. Q: (Peter Windsor – Peterwindsor.com) The first question, Kimi, I’m asking on behalf of Heikki Kulta who I’ve just spoken to. He can barely talk he was so excited but he wanted me to ask you what you were thinking and what it felt like to be the listening to the Finnish national anthem? 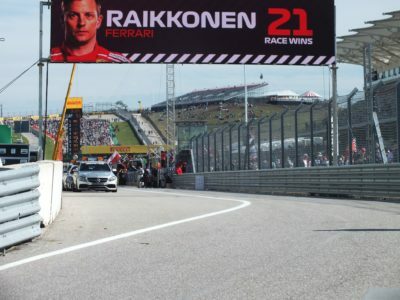 Kimi Räikkönen: Obviously I wanted to win, that’s for sure. I wasn’t sure if it was going to happen or not because sometimes it’s been close and something maybe happened. With five laps to go it was going to be OK because I knew my tyres were still OK and once they get close enough, it’s so difficult to follow. It’s nice to hear it, for sure, especially if you’ve won. Obviously that is what you always want, at any race we come to, all of us want to win, but like I said, I’m happy for that, it was a great day to prove some people wrong and having a good race but it doesn’t really change anything for me. It’s just a number. Life goes on. 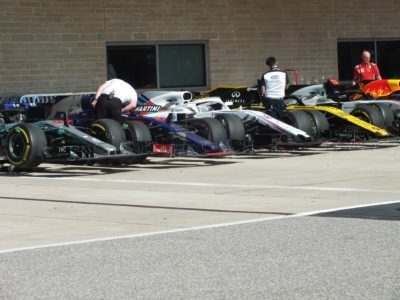 Q: (Peter Windsor – Peterwindsor.com) Lewis, you mentioned how aggressive the circuit was with tyres and you talked a little bit about the championship. 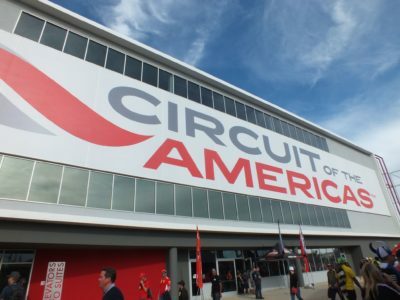 Is there an argument for saying that the strategy that actually they had on the pit wall was a conservative strategy, possibly defined by the championship rather than specifically trying to get you to win the race, which leads me to my real question which is how much pre-race was the strategy potentially affected by your championship rather just wanting to win on the day? Lewis Hamilton: My strategy was the same, because I wanted to win the race. We were on pole position, same straightforward approach going throughout the weekend but in strategy they were talking about different scenarios as we do every weekend but there’s a different feeling, for sure, with the performance and decisions that were taken today as opposed to previous races but I don’t think we needed to make any changes. I don’t know why they would not want to win the race. I think they did want to win the race, it just didn’t play out the way that we had planned and I think it already started from Q2. I think that tyre was the wrong tyre to start on. We had already seen, a long long time ago in the year Kimi starting on a softer tyre, I think it was in Austria. We already knew there was a big difference between the start performances on these different tyres yet we fell for something that we already knew was potentially not the way forward and obviously lost position to him and then wasn’t able to keep up because he had clean air and a better tyre. There was definitely a lesson learned for us and we’ll definitely go to the drawing board but performance-wise it wasn’t our greatest weekend but we’ve had some incredible weekends this year and still to get a third, I’m still grateful for that but naturally starting first and finishing third is never a good thing. Q: (Scott Mitchell – Autosport) Lewis, given you were told by the team that Seb had spun on the opening lap and you were in a good position, were you surprised that the title hasn’t been clinched in this race? And to Kimi, you mentioned about proving people wrong; do you think you’ve proved that you should still be in a Ferrari next season? Lewis Hamilton: I’m not surprised, I finished third. My job… I had to win the race today. I’m not really sure what happened in the race behind but obviously he did a good job to come back but as a team, we clearly struggled. Valtteri struggled to keep Seb behind, even when Seb was obviously… must have been quite far behind, so performance-wise we were definitely off this weekend but I think Kimi’s given me a lot of confidence, so that I can keep getting better. He’s 38? 39? Kimi Räikkönen: 39. Next year 40, so… I’ll invite you to the party. Lewis Hamilton: Hope I get an invite for the 40th. Kimi Räikkönen: We can call. Q: And Kimi, do you think this result shows that you should still be in a Ferrari next year? Kimi Räikkönen: No. For sure I didn’t mean on that side. I think people don’t understand I’m actually very happy where I’m going. I had my time with Ferrari, I won the championship with them. I won many races with them and for me, as a driver, I want different challenges, I want different things and I’m actually very happy to go there. It’s roughly 40 minutes from my home. For sure my family will be happy, I’m happy to be with my family. I think it’s probably the best thing. I wasn’t really disappointed with the decision at any point. The only thing that I was interested in was to know what was going to happen and that’s the only thing. The rest, I’ve been long enough in F1 to know that things… it doesn’t matter if you have contracts or not, things happen for different reasons but I think the end result is that I’m very excited about it. Q: (Luis Vasconcelos – Formula Press) Kimi, you’re now up to third in the championship and Ferrari closed the gap to Mercedes. The Constructors championship is far more open than the Drivers’ championship. Are these two important goals for you, one more important than the other or do you just want to win more races until the end of the year? Kimi Räikkönen: I can only do my best. Whatever the end result is, that’s how it’s going to play out. For sure, if we have a chance to fight for a championship I will do my job and that would be absolutely perfect for all of us but we can only do our best, I said that before the race and before many races and you know, whatever the end result is, that was our best and if today we would be second or third, it wouldn’t really feel too bad because I knew that I did the best I could and today was like this so I’m happy about it. We’ll go next weekend and try to do the best that we can. We keep fighting until the last race and then we see what happens after that. Note – Ocon excluded for exceeding fuel flow limits on Lap 1. 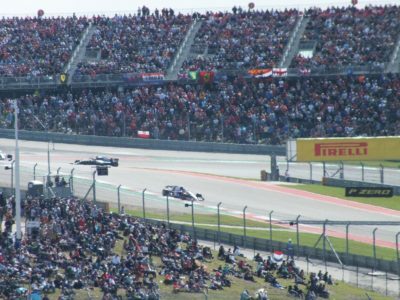 Magnussen excluded for consuming more than 105kg of fuel during the race.